Seller will give you a gift certificate in the amount of 5,2166 RUB for a positive review of the product purchased. 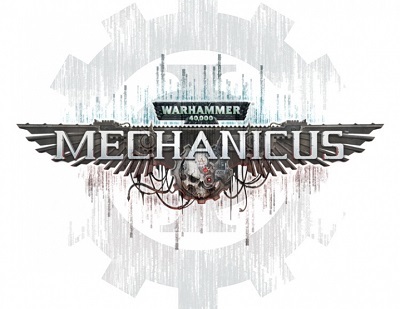 Take control of one of the most technologically advanced armies of the Imperium - the Adeptus Mechanicus. In the role of Magos Dominus Faustinius, you will lead an expedition to the newly discovered planet Silva Tenebris. Distribute resources, look for long-forgotten technologies, plan tactical operations with the help of the Noosphere and control the techpriests. Your every decision will affect the following missions and ultimately decide the fate of the entire squad. Choose your path carefully - the fate of the Imperium depends on you. - The flesh is weak! Replace the limbs of your tech priests with mechanical elements made from the blessed Omnissia metals. Hundreds of options to customize the squad will choose your unique style of play. - Make difficult decisions on which the future of your ship, the Mechanicus "Cestus Metallic" ark, depends. Alternative endings will make each passage unique. - Get a tactical advantage over the enemy by scanning the pristine ancient graves in search of valuable data using the superhuman capabilities of the Adeptus Mechanicus. - A fascinating story that accurately captures the spirit of the cult Adeptus Mechanicus, was written by Ben Counter, one of the authors of Black Library. Seller will give you a gift certificate in the amount of 5,2166 RUB for a positive review of the product purchased..